"skillnames" "Bullet Proof Skin|Laser Sight|Super Strength|Super Speed"
"skilldescr" "Evade Shots|Fire comes out your eyes|Do extra Damage|Go faster for X amount of time"
"skill1_setting" "es_xset wcs_chance 9|es_xset wcs_chance 18|es_xset wcs_chance 26|es_xset wcs_chance 37"
"racealias_ne1" "es_set wcs_dmg event_var(dmg_health);if (server_var(wcs_game) != server_var(wcs_game_css)) then es_xrand wcs_dmg 1 20;es est_Health event_var(userid) + event_var(dmg_health);wcs_getlanguage wcs_lng wcs_lng_r_evade;es_tell event_var(userid) #multi server_var(wcs_lng)"
"skill1_cmd" "if (server_var(wcs_dice) <= server_var(wcs_chance)) then est_isalive wcs_alive event_var(userid);if (server_var(wcs_dice) <= server_var(wcs_chance)) then es_xif (server_var(wcs_alive) = 1) then racealias_ne1"
"skill1_sfx" "if (server_var(wcs_dice) <= server_var(wcs_chance)) then es_xgetplayerlocation wcs_x1 wcs_y1 wcs_z1 event_var(attacker);if (server_var(wcs_dice) <= server_var(wcs_chance)) then es_xgetplayerlocation wcs_x2 wcs_y2 wcs_z2 event_var(userid);if (server_var(wcs_dice) <= server_var(wcs_chance)) then es_xif (server_var(wcs_alive) = 1) then est_effect 3 #a 0 sprites/yellowflare.vmt server_var(wcs_x1) server_var(wcs_y1) server_var(wcs_z1) server_var(wcs_x2) server_var(wcs_y2) server_var(wcs_z2) 1 5 5 255 255 255 255"
"skill2_setting" "es_xsetinfo wcs_chance 7|es_xsetinfo wcs_chance 14|es_xsetinfo wcs_chance 21|es_xsetinfo wcs_chance 27"
"racealias_burfire3""es est_burn event_var(userid) 0.3;es es_delayed 2 es est_burn event_var(userid) 0.3;es es_delayed 4 es est_burn event_var(userid) 0.3;es es_delayed 6 es est_burn event_var(userid) 0.3;es es_delayed 8 es est_burn event_var(userid) 0.3;es es_delayed 10 es est_burn event_var(userid) 0.3"
"racealias_firebnr3""es_xgetplayerlocation wcs_x1 wcs_y1 wcs_z1 event_var(userid);es_toptext event_var(attacker) 1 #pink Effects by HOLLIDAY;es est_effect 10 #a 0 sprites/lgtning.vmt server_var(wcs_x1) server_var(wcs_y1) server_var(wcs_z1) 200 300 3 20 10 0 255 15 5 255 10"
"skill2_cmd" "es es_xif (server_var(wcs_dice) <= server_var(wcs_chance)) then racealias_burfire3"
"skill2_sfx" "es es_xif (server_var(wcs_dice) <= server_var(wcs_chance)) then racealias_firebnr3"
"skill3_setting" "es_xsetinfo wcs_damage 3;es_xsetinfo wcs_chance 13|es_xsetinfo wcs_damage 7;es_xsetinfo wcs_chance 18|es_xsetinfo wcs_damage 9;es_xsetinfo wcs_chance 22|es_xsetinfo wcs_damage 13;es_xsetinfo wcs_chance 33"
"racealias_deathsd2""es est_playplayer event_var(userid) ambient\explosions\explode_9.wav;es wcs_dealdamage event_var(attacker) event_var(userid) server_var(wcs_damage);es est_csay event_var(attacker) server_var(wcs_damage);es est_csay event_var(userid) server_var(wcs_damage) additional damage;racealias_voidsh22"
"racealias_voidsh22""es es_xgetplayerlocation wcs_x1 wcs_y1 wcs_z1 event_var(userid);es_toptext event_var(attacker) 1 #pink Effects by HOLLIDAY;es est_effect 10 #a 0 sprites/scanner.vmt server_var(wcs_x1) server_var(wcs_y1) server_var(wcs_z1) 50 350 2 90 200 0 155 155 155 155 2"
"skill3_cmd" "es es_xif (server_var(wcs_dice) <= server_var(wcs_chance)) then racealias_deathsd2"
"skill4_setting" "es_xset wcs_duration 2|es_xset wcs_duration 4|es_xset wcs_duration 4|es_xset wcs_duration 6|es_xset wcs_duration 8"
"racealias_invspb4" "es est_setplayercolor event_var(userid) 255 0 15 0 1;es es_delayed 0.5 est_setplayercolor event_var(userid) 255 0 15 10 1;es es_delayed 1 est_setplayercolor event_var(userid) 255 0 15 25 1;es es_delayed 1.5 est_setplayercolor event_var(userid) 255 15 55 35 1;es es_delayed 2 est_setplayercolor event_var(userid) 255 25 55 60 1;es es_delayed 2.5 est_setplayercolor event_var(userid) 255 55 55 80 1;es es_delayed 3 est_setplayercolor event_var(userid) 255 100 100 115 1;es es_delayed 3.5 est_setplayercolor event_var(userid) 255 155 155 135 1;es es_delayed 4 est_setplayercolor event_var(userid) 255 200 255 165 1;es es_delayed 4.5 est_setplayercolor event_var(userid) 255 225 255 185 1;es es_delayed 5 est_setplayercolor event_var(userid) 255 225 255 200 1;es es_delayed 5.5 est_setplayercolor event_var(userid) 255 255 255 220 1;es es_delayed 6 est_setplayercolor event_var(userid) 255 255 255 225 1"
"skill4_cmd" "es est_playplayer server_var(wcs_userid) ambient\explosions\explode_7.wav;es_xtell server_var(userid) #multi #lightgreen : Got a #green speed boost #lightgreen for #green(wcs_duration) seconds. ;es est_speed server_var(wcs_userid) 3.0;es es_xdelayed server_var(wcs_duration) est_speed server_var(wcs_userid) 1.0;es_xmath wcs_duration - 1;es es_xdelayed server_var(wcs_duration) es_xtell server_var(wcs_userid) #multi #lightgreen : becoming #green slow #lightgreen again ...;racealias_invspb4"
"skill4_sfx" "es est_effect 4 #a 0 sprites/tp_beam001.vmt server_var(wcs_userid) 3 3 3 50 255 0 25 255;es_toptext server_var(wcs_userid) 1 #pink Effects by HOLLIDAY;es es_xgetplayerlocation wcs_x1 wcs_y1 wcs_z1 server_var(wcs_userid);es_xmath wcs_z1 + 340;es est_effect 10 #a 0 models/effects/splodecard2_sheet.vmt server_var(wcs_x1) server_var(wcs_y1) server_var(wcs_z1) 550 100 5 750 200 0 155 115 100 200 30"
If you think about that, it doesn't make any sense. Why should you get more health with an bulletproof skin? Just make an damage reduction, that would make your Race a bit unique. Beret, keep yourself focusing on 1 project. Be sure to memorize that down since it sounds good. Would someone mind helping me with that skill? never the less it's nice to see a c/p race which is not op! yeah really, nice job on the balancing we should throw a party or something! 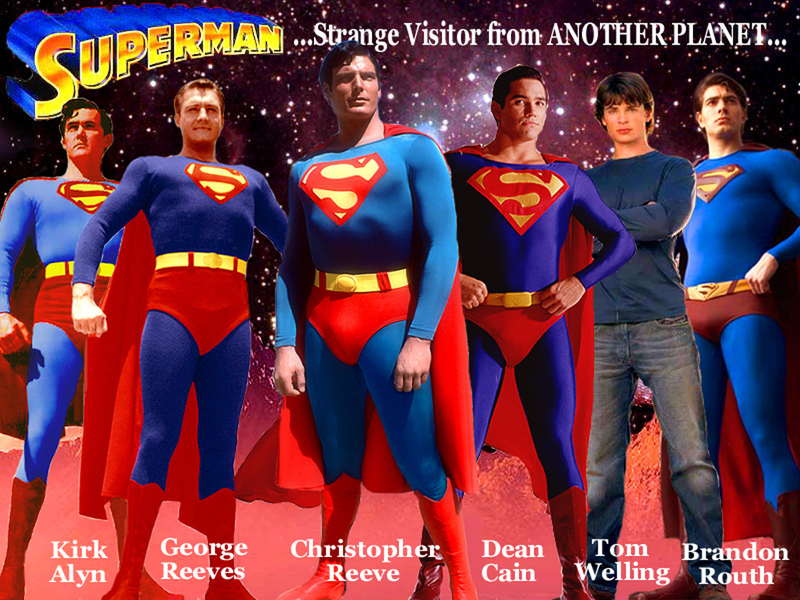 And by following this link you'll find your favourite superman actor choose yours. And whom of those has the biggest red "overpants"? yay! found a way how to enlarge this! Just because Imo Smallville own Superman! I am reconcidering to rework my Version of Kal-El. I also did make a Kal-El Race. If your gonna remake the KAL-EL from smallville he doesnt jump high or far. its really original and awsome. Skill2: since add hp is so boring. make it something like maybe each 3 shot has effect? (no not 66% evasion but he is immune to 3 first shot ) give him 200 armor and make it so that he dont loose hp before the armor is empty? Ability2: make him see trough walls? for set ammount of time, and just like abilty1 make it once a round or add a cooldown. Ability3: Laser eyes(Name says it all) make him shoot laser were he aim : P that does 15 dmg max? able to use it 3-5 times a round? or 10 sec cooldown? Ultimate: FLY(what else?) make him fly..
EDIT: Abilty4: make him hear good. like he can see every player on the radar for a set ammount of time..
And also it's suppose to be a knife only race.